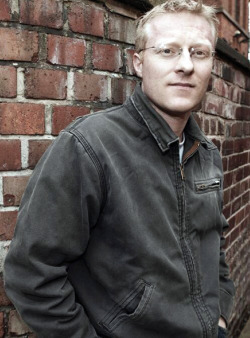 A Russian asylum seeker is found murdered, but before DI Jon Spicer can make any headway with his investigation more asylum seekers are found murdered in the same way. The name of the first victim turns out to be false and the only truth discovered is that the man came to the UK drifting on a boat. A mysterious assassin is at large and has been targeting a specific group of asylum seekers. This is my first outing with DI Jon Spicer and I can recommend the experience to any crime fan. The author’s style of writing is such that at times it feels you are one step behind the characters looking over their shoulder whilst being given a running commentary on the thoughts in their heads. 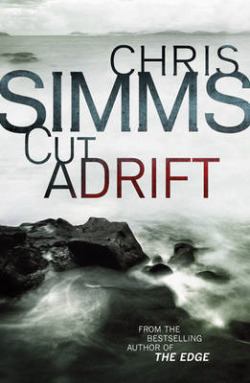 Cut Adrift is not the paciest novel you may read this year but it may turn out to be one of the most memorable as the events set the pace and any faster would mean a compromise on the atmosphere which is one of the book's main strengths. With every page turned you are drawn further and further into the lives of the protagonists and this due to the author’s clever use of language and a paring of unnecessary dialogue which serves to make every word count. The depiction of the events on the raft is gruesome yet spellbinding and the careful way that the author lets each part unfold slowly throughout the book giving a heightened sense of drama to the tragic revelations. As you read further you will find yourself repulsed, amazed and sorrowful as each drop of information comes with each bottle's discovery... Personally, I found myself rooting for Amira who was on the raft as much as I was for Spicer. Spicer is an interesting character who may be a little clichéd but holds the novel together well, along with his colleague Rick. Spicer’s anguish at being separated from his wife and daughter is a strong theme in the book and is excellently portrayed as is the final plot reveal which is entirely too plausible to give any of us confidence in our international policies. The thing I found most interesting and utterly absorbing was the events on the raft. There is not a lot written about this and there are even few references to it, yet for me it turned a good book into a great one. Depth of research was clearly evident along with a wonderfully sparse use of language which set the scene better than a lesser author could with a dozen chapters. 1) What makes a truly great crime/thriller novel? I think there needs to be an assurance to the writing. You know, within the first couple of pages, that you’re in the hands of someone who really knows their craft: there’ll be no resorting to cliché or poor dialogue or implausible plotting. I think James Lee Burke said he works at his novels until, when they’re shaken, nothing rattles. 2) Now that the crime/thriller genre represents the largest section of fiction sold in the UK and Ireland, do you think we do enough to celebrate the quality and diversity of the writing? The genre will suffer for some time yet from a certain literary snobbery – an attitude encapsulated by one of the judges of a major literary award who said hell will freeze over before a crime novel wins the prize. Sadly, ignorant views like that percolate down. The organiser of a local book club said to a friend that members are welcome to nominate anything but crime novels. So these poor people struggle week in, week out with supposedly high-quality books that, actually, bore them all rigid. 3) Do you plot the whole book meticulously and have all your research done before starting to write - or do you discover things as ideas form whilst writing? I absolutely love the research because it’s given me access to locations and people I’d never have encountered if I wasn’t writing a book. This has included a behind-the-scenes tour of the jaguar enclosure at Chester Zoo, a look round a derelict monastery in Manchester now restored and declared a world heritage site, and a wander through the dark and mysterious tunnels that run beneath the city. While I used to plot very tightly before writing, I have got progressively looser in my approach. However, I still believe it’s crucial that material for pivotal scenes is experienced first-hand – and if that means venturing out to places like Saddleworth Moor at dusk, so be it. Hopefully, the emotion shows in the writing. 4) The main plot reveals some shocking truths that the public are unaware of. In your opinion can those responsible ever be brought to justice? I don’t believe they will. Obviously it’s not possible to elaborate without giving the plot away – but I do believe that only the sheer force of public outrage will ever bring those responsible to justice. And that outrage will never develop because it’s not in the interests of our pro-Establishment, corporate-owned media to nurture it. 5) Spicer is a strongly moral character yet very tolerant when you consider that his colleague Rick is in a gay relationship and has a child to a lesbian couple. Is this your way of challenging society’s moral conventions or merely an artistic device? I suppose it’s a bit of both. Jon Spicer is a no-nonsense, Mondeo-driving traditionalist who loves rugby – so pairing him with a gay graduate from down south was sure to create sparks. But it’s also interesting to challenge convention – for instance when Jon realises that, during a rocky patch in his marriage, his daughter is far less happy than Rick’s son who lives with two mums. 6) The passages describing those cast adrift on the raft are excellently depicted making them very poignant. Was the research for this limited to the two books credited or have you spoken to any real-life shipwreck survivors? I’m chuffed you think the scenes could have had input from a real-life shipwreck survivor, but that was one area of research where a face-to-face interview wasn’t possible. The two books on which my research was based are, however, incredibly powerful in their detail. 7) Amira, the letter-writer, is depicted in such a way as to draw the reader’s sympathy. I found myself more empathetic to her than DI Spicer, who is your main character. Was this a deliberate action or a by product from your description of her ordeal? I needed the reader to empathise with her as much as I could – after all, her ordeal is one of the story’s main drivers. But I didn’t realise quite how powerful her role would become. Then again, the prospect of a tale told through messages washing up on our shores should be irresistible! 8) Where did the inspiration for the messages being received in instalments come from? t’s not giving anything away to say that her notes are contained in rubber ducks that, along with Amira, have been washed from a freight ship that was caught in a storm miles out at sea. This flotilla of ducks is based on an actual event – and the drift of the bath toys has been used to map ocean currents by an appropriately named researcher called Mr Ebbesmeyer. 9) What do you think drives a story best – plot or characters? Well, convention says character. There’s a maxim used, I think, in screen-writing that says ‘character is action’. For me though, it’s plot. I will think of an event (such as the rubber ducks) and build my novel and its characters around it. 10) In a dream scenario who would you like to direct and star in a film/TV adaptation of your book? Straying into pure fantasy, it would have to be Ridley Scott directing (Blade Runner alone being reason enough). As for starring, I haven’t yet seen an actor who fits my ideal of DI Spicer. Google Joe Worsley and you’ll find someone who comes extremely close. 11) What is your favourite movie adaptation of all time of a crime/thriller novel? Can it be a short story? In that case, the Nicolas Roeg directed Don’t Look Now, based on the short story by Daphne du Maurier. I was tipped off to it by my English teacher at school who, now over thirty viewings in, is still finding fresh details he hasn’t noticed before. 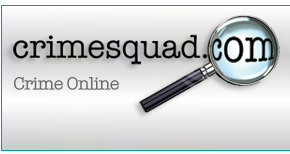 12) What is your favourite crime/thriller novel of all time? Very hard to say – but I’ll go for Heart of Darkness by Joseph Conrad. (Incidentally, it’s mentioned in Cut Adrift.) And for all those literary snobs out there, face facts: it’s a thriller.